Incentivated’s specific mobile focus ensures we have the skills to design mobile website design that broader digital agencies cannot provide. We have the server side technology to allow for better data management over the mobile networks. 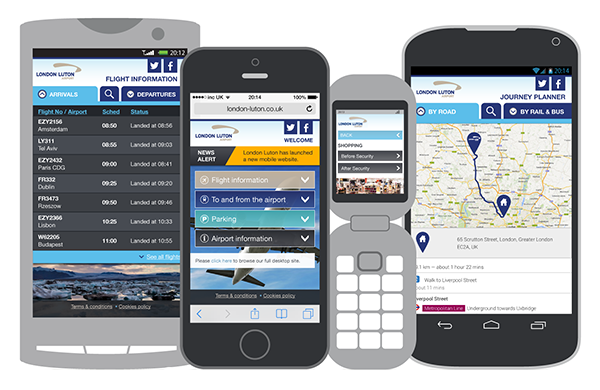 We have the creative and design skills, combined with customer behavioural understanding of the mobile environment. We allow the development of sites that are not only tuned to your customer’s phone, but also maintains your investment in differentiation through your brand. We are able to provide your brand with the mobile website it deserves – whatever your objectives, brand needs and budget levels. Transcoding technology to take your existing website and create a better mobile experience, or create a new mobile site, made possible with our in-house Phone Capability Database (PCD). Analytic tools and reporting abilities abilities that provide useful insight into page impressions, session times, unique users, downloads, site journeys and more – can be fully integrated with your existing analytics package. To find out more, please read our case studies or contact us now.